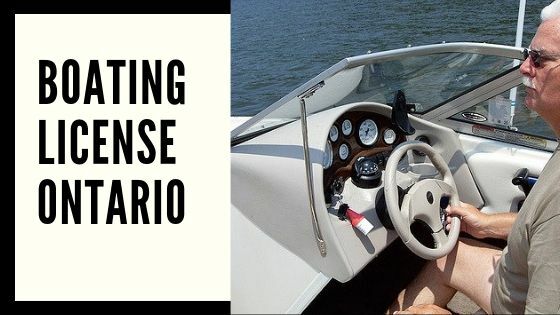 Is it Mandatory to Obtain a Boating License in Ontario? When not at work, boating is one of the favorite pastimes in Canada. As millions enjoy the waterways there, accidents are bound to happen. Hence, there is a safety course which is mandatory for all boaters with the aim to help them to be more responsible on the water. This course tends to teach them the required skills and prepare them completely leaving no scope of being wrong while sailing. On completion of the course, you get a card, known as PCOC – Pleasure Craft Operator Card, which is a proof that you are capable to drive a powered watercraft safely. The PCL is a number embossed on every watercraft in Canada. It comes as a mandatory requirement under the Small Vessel Regulations of the Canada Shipping Act. This number is used to identify individual watercrafts by the Law enforcement agencies and other rescue organizations. No driving license or a boater’s license is required to operate a watercraft in Canada. However, since September 2009, the PCOC – safety course certificate has become a mandatory card which every boater should have on board when on water and this law applies to all irrespective of their age and the kind of motor-boat they drive. Boaters may have to pay a fine if they fail to produce this proof of competency while on board. PCOC is not required for boaters who use crafts for maintaining or supporting themselves with activities such as fishing or hunting. What is PCOC & How to Get it? PCOC – Pleasure Craft Operator Card is a proof of competency received by boaters after clearing a boating safety course which is approved by the Transport System of Canada. It is acceptable in Ontario and all other regions in Canada. The boating safety course or the driving license test can be taken online at Boat-ed.com. This safety course comes with no age restrictions or limitations and it is not compulsory for you to be a resident of Canada. The course at Boat Ed is accessible on any device and as per your convenience. And in just a few hours you can complete the requisites. This card is for a lifetime and you do not need to renew it as it has no expiry date. Once you complete the course and clear the Transport Canada Safety test, you will receive the PCOC. Now, legally you can operate a powered watercraft in Canada. Any boater who drives a pleasure craft which has any kind of motor attached to it and is used for recreational purpose requires a PCOC – Pleasure Craft Operator Card. This card acts as a proof that the boater is competent enough to drive the boat. He can operate a boat safely on the water. Since, September 2009 it has become mandatory for all boaters, who sail a powered watercraft used for recreational objectives, to have a PCOC on board when on water. For non-resident Canadians, if they plan to sail a motored watercraft in Canada for 45 consecutive days or more, they need to have a PCOC. This is also required if the boat is registered in Canada. Moreover, there are certain Boater Education Cards which are also recognized in Canada. If you just rest a powered watercraft for a few days, you need to take care of the safety checklist they require. A PCOC is not mandatory in this case. We have seen the difference between PCOC and PCL. One is used as a driving license in Canada for boaters and the other is a license for the boat to be able to sail on the water. It is a federal law and applies to all regions in Canada. The PCOC allows boaters to sail in Canada where permitted. For more details check your local service centers. If you wish to go for boating on Canadian waters, it helps to get lessons from an experienced driving instructor in Toronto. To learn how you can obtain a boating license in Ontario, call us at 416 222 4190 today. What is Ontario Class D License? What Does Forklift Driving Lesson Entail? Registered as a private career college under the Private Career Colleges Act, 2005. Our teachers are certified by the Ontario Safety League and the Ministry of Transportation. All practical lessons are flexible and students enjoy one-on-one instruction based on the student`s individual needs. Upon graduation, our school bus driver training even aims to assists students with the job searching process and job placement.